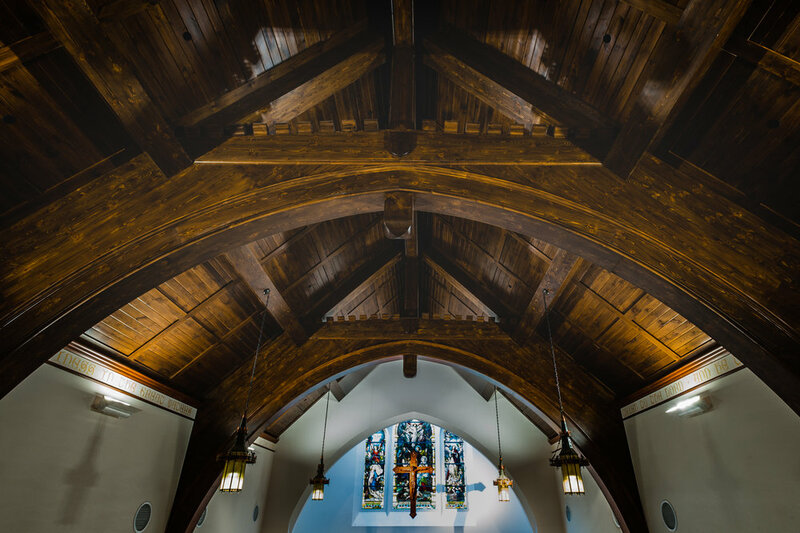 Land for this chapel was donated by Frederic G. Dumaine Jr., president of the New Haven Railroad. 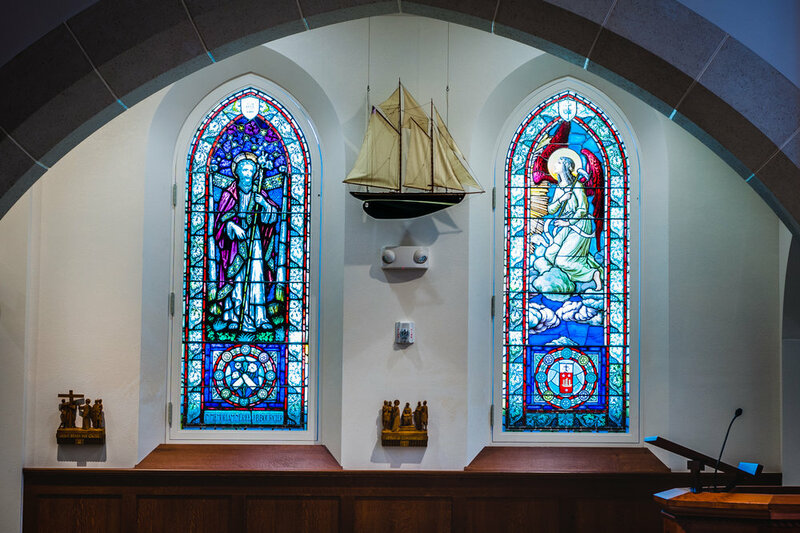 A statue of Our Lady of Good Voyages stood in front of the chapel with a ship in her arms for many years and mass was held regularly. 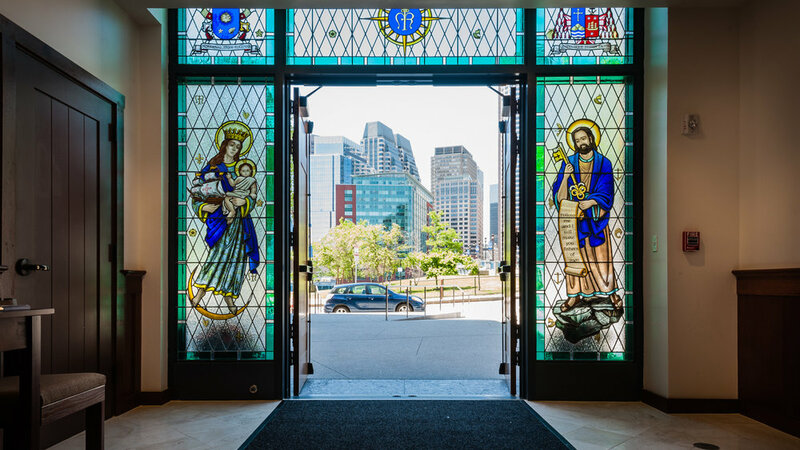 In 2017, the chapel was torn down as part of a $10 million development deal with the Archdiocese of Boston. 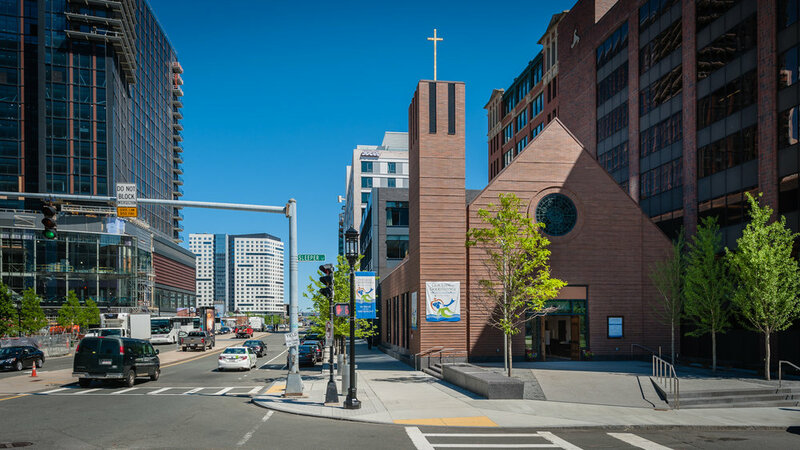 To make way for a 22-story office tower in the adjacent lot, John B. Hynes III, who runs Boston Global Investors, demolished the old chapel and built a new one at the corner of Seaport Boulevard and Sleeper Street at the foot of the Evelyn Moakley Bridge. 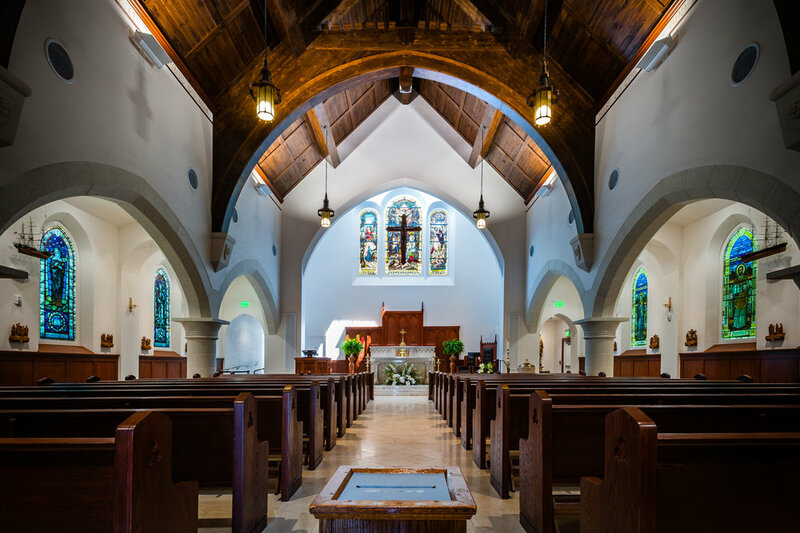 The architects for the new building are Cram and Ferguson of Concord, MA, an established firm with extensive ecclesiastical experience. 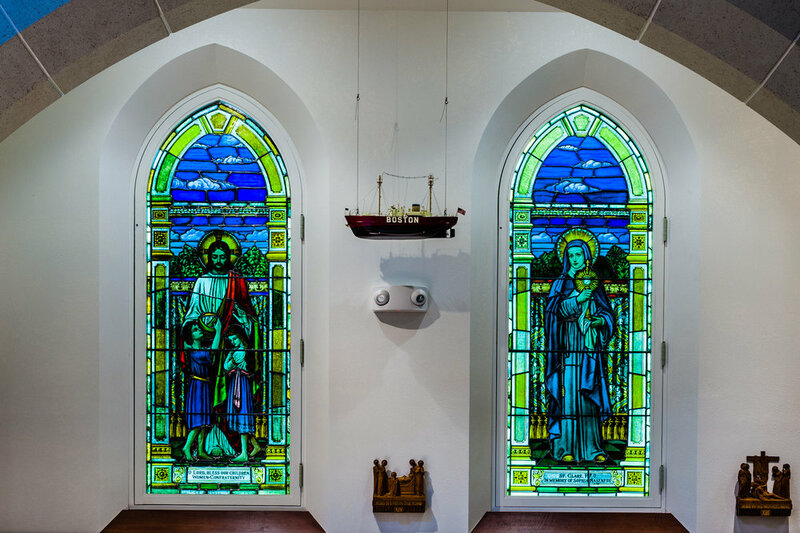 Many objects and symbols from the old chapel were moved including a statue of Mary holding baby Jesus and a three-masted ship that long sat on the altar. Visit other spaces in Downtown Boston.